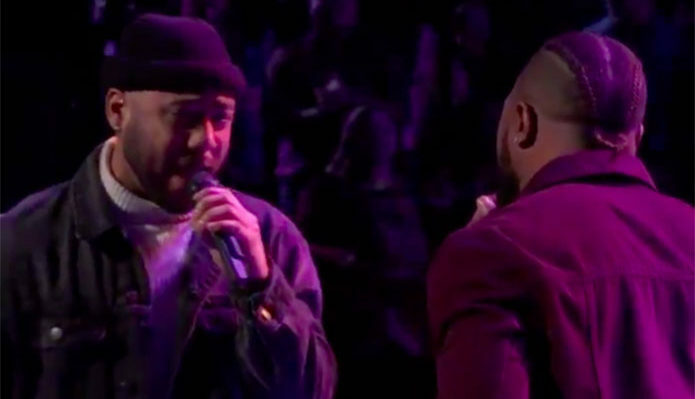 Julian King and Denton Arnell from Team Legend performs “Grenade” on The Voice Battle Rounds on Monday, April 1, 2019. The winner of this battle in Julian, no steal for Denton. The Voice Season 16 airs every Monday on NBC with Adam Levine, Blake Shelton, Kelly Clarkson and John Legend as judges, Carson Daly as host.